Adolescence is a significant period of plasticity (second only to early childhood) and is marked by substantial changes in four developmental domains: physical, social & emotional, cognitive, and identity. Successful navigation of adolescence requires that teens: 1. Adjust to sexually maturing bodies and feelings, 2. Develop abstract thinking and metacognition skills, 3. Develop new perspectives on human relationships, 4. Develop new coping skills related to decisionmaking, problem-solving, and conflict management, 5. Identify meaningful standards, values, and beliefs related to moral behavior, justice, and caring for others, 6. Understand and express more complex emotions, including other’s emotions, 7. Form mutually close and supportive relationships, 8. Establish key aspects of their identity, 9. Meet the demands of more mature roles and responsibilities in home, work and community, and 10. Renegotiate their relationships with parents and caregivers. A holistic approach to teen development requires the recognition that all developmental domains are intersecting, overlapping, and interdependent. The Foundation supports programs and ventures that provide transformative experiences for teens that are holistic in their approach to enhancing teen development and wellbeing. 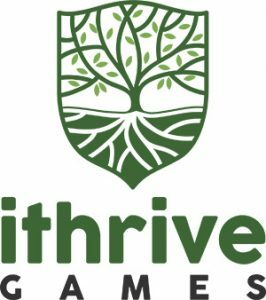 iThrive Games facilitates the creation of transformative video games for teens that encourage habits based in positive psychology, such as curiosity, optimism, zest, empathy, gratitude, kindness, forgiveness, growth mindset, purpose, and flow. 97% of teens report playing video games, and, on average, over an hour per day is devoted to gameplay. Video games are unique in that they are ‘interreactive’ – players react to the game and in turn the game reacts to players’ actions and choices, providing feedback and consequences that may again shape players’ behavior. Video games provide a safe space for exploring, taking risks, building skills, experiencing failure, and receiving feedback in an environment characterized by absolute concentration and ‘flow’. Video games provide opportunities for embodied learning, learning that integrates movement with thinking, which many consider is the most impactful. In games teens can act, experiment, explore, collaborate, develop skills, understand barriers, make plans, fail, reflect on experiences, discover, recover, persevere, and grow. In games teens can make friends, be part of a community, ‘try on’ a variety of identities, assess and refine their strengths, try different methods of communication, learn about other cultures and societies, encounter other beliefs and perspectives, learn from history, resolve conflicts, and develop a variety of competencies. Video games provide a unique platform for helping teens attain intrapersonal and interpersonal skills, community connection, an integrated identity, and a sense of agency and purpose that sets them up for thriving across all developmental domains. Teen acquisition of developmental assets requires continued exposure to positive and meaningful experiences, settings, people, and opportunities that build self-awareness, self-management, and self-determination. iThrive Games collaborates with scientists in developmental psychology, neuroscience, learning science, and social psychology, in conjunction with game developers and teens, to understand the play components and environments necessary for creating meaningful player experiences.